be cleaned by a professional, registered chimney sweep at least once a year to comply with insurance requirements. cleaned properly without leaving a mess. 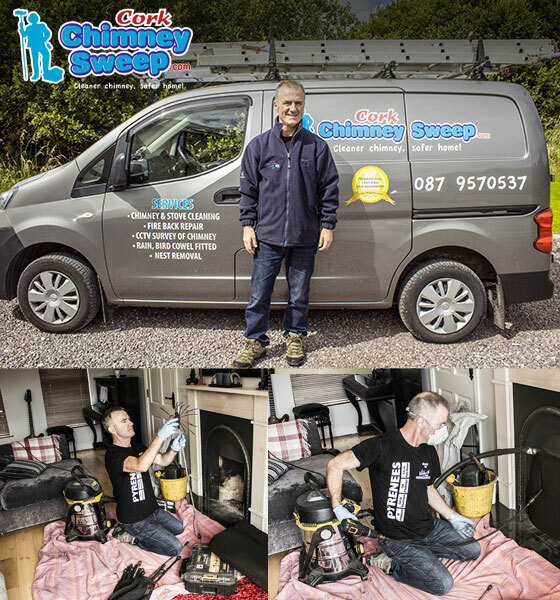 Your friendly Chimney Sweep covering the area of Cork.